Imagine adding a part-time job to your already packed schedule. Adding to the stress? Not only is that job unpaid, but it’s complicating your personal and work life. A survey conducted by Forbes found that, while across the spectrum, women spend an average of over nine hours per week planning for a wedding, with 7 percent reporting up to 20 hours or more. With the typical engagement lasting 12 to 18 months, there should be enough time–but it’s a lot of stress to handle for over a year. To be sure, not all aspects of planning are meant to be fun (budget, anyone? Difficult seating charts?) , but when it starts to become a complete chore you may need to take a step back. You’re falling behind at work: In the same survey, only 11 percent of women surveyed (one limitation of this study it did not study the impact on men) reported that wedding planning never took place during work hours. In fact, the average time spent planning–during work–was over two hours a week. Falling behind on assignments, fewel extra crunched for time, or even just noticing your productivity declining is a red flag for putting too much emphasis on planning. You’re fighting more with your partner: Let’s face it–planning is stressful. Marriage us even more stressful. But if you find your picking fights over the smallest things, take a minute to ask yourselves, honestly, if planning has gotten in the way of spending meaningful time together. You keep cancelling plans: It’s admirable to be dedicated to planning, but if you keep cancelling plans, both obligations and social calls, you may be putting in too much time. Isolating actually may make planning harder: getting feedback, or even just general support, could go a long way for any troubleshooting. You aren’t taking care of yourself(ves): You don’t stop to have regular meals, you are exercising too much or not at all; you get less than seven hours of sleep–even skin issues, like breakouts, are a signal your body needs more attention. 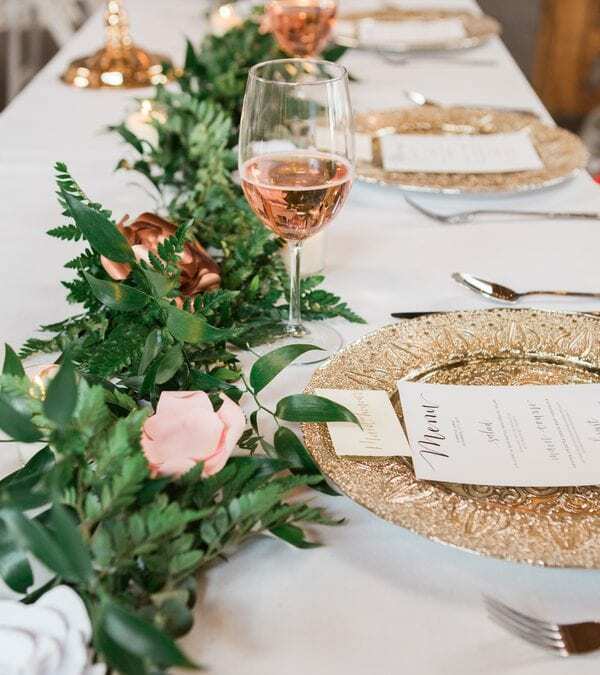 Hire a wedding planner: Yes, it’s an investment, but a planner might very well be the thing you need, especially if both of you are fully employed. A planner can work around schedules, make calls, and troubleshoot. Keep in mind you can hire a planner for a variety of needs. Even just a day-of-coordinator may give you some peace. Enlist help: Chances are, family would be happy to help, as long as you’re reasonable with your expectations. Consider assigning just one small task. And your bridal party is also a great resource. Just take a break: Yes, really. In the end, a few days, or even a week may end up helping more than harming. Keeping yourself and your relationship is the most important thing. Let go of minute details (no one will remember the color of the tablecloths) if you need to. A final piece of advice: buy your gown and bridesmaid dresses where there are additional services--Diamond Bridal Gallery offers steaming, and even delivery.